After the spectacular IAAF Antrim International XC last weekend, attention again focuses on the muck this weekend. The cross-country bandwagon moves to Cookstown for the next round of the Athletics NI XC League 2017/18, while local athletes Kerry O’Flaherty (Newcastle AC) and Fionnuala Ross (Armagh AC / Shettleston Harriers) will be competing at the famous Great Edinburgh XC in Scotland. There is also two trail races to look forward to, with the 26extreme Castlewellan Night and the latest installment of the Sperrin Harriers Winter League Trail Series, coming up over the weekend. The East Antrim Marathon Series will host their World Half Marathon Day Series of events. The now famous ‘Acorn Hill’ awaits athletes as they look forward to the sixth round of the Athletics NI XC League 2017/18, the Mighty Oaks Cross Country. The re-scheduled event, hosted by Acorns AC, will take place on Saturday 13th January 2018 at the Mid Ulster Sports Arena in Cookstown. Fast forward twelve months to 2018, and recently crowned NI & Ulster 10k (Road) Champion Scott Rankin (Foyle Valley AC), who represented Northern Ireland at last weekend’s IAAF Antrim International XC, should lead the charge for top honours in the men’s 4 mile event. The North West man should be joined on the start line by a sizeable Foyle Valley AC contingent as they gear up to cement their place at the top of the current standings. 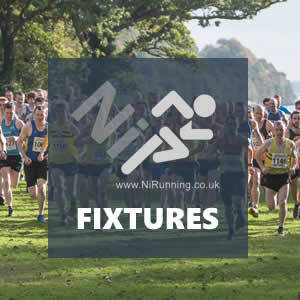 Their local neighbours, Springwell Running Club, will also be well represented – they are just two points behind Foyle Valley AC and are likely to have Neil Johnston, winner of the North West XC and the first local athlete home at the Antrim XC, in their ranks. In the ladies 3 mile race, in-form Dromore AC athlete Laura Bickerstaff is unlikely to start after missing last week’s Antrim International XC. Laura’s Dromore AC team mate, Rebekah Nixon, could feature. Meanwhile, league leaders North Down AC should have Rachel Gibson and Katie Moore, two ladies who represented Northern Ireland last week, and Sarah Lindsay, who had an exceptional run in the international ladies race at Antrim; the aforementioned trio were all on the podium at the North West XC, completing a North Down AC clean sweep. Also on Saturday 13th January 2018, Sperrin Harriers will welcome athletes from across the province to An Creggan, close to Omagh, for Race 3 of their ongoing Winter League Trail Series. Details in relation to the course are available HERE. The first two races in the popular series, saw Eoin Hughes (Acorns AC) and his former team mate Shane Donnelly (Unattached) go head to head, with Eoin coming out on top on both occasions. This time around, with Eoin likely to opt for his own clubs’ Mighty Oaks XC, international trail runner Shane should take charge. However, the talented athlete will not get it all his own way, with Vincent McAlister (Acorns AC) and Paul Barbour (Unattached) both potential starters. Armagh AC’s Paul McAnespie and City of Derry AC pair Michael Murphy and Paul McCafferty could also toe the line. 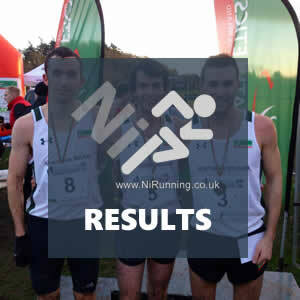 Conor Reid (Ballymena Runners), Jason Wilson (Ballymena Runners) and Conor Maguire (Omagh Harriers) will all place well. In the ladies race, Race 1 winner Gillian Wasson and Race 2 winner Grace Carson (Mid Ulster AC) could challenge for top honours. Should both compete, it will be an excellent race! Ciara Toner (Springwell Running Club) and Gemma McDonald (Ballycastle Runners) could add further depth to the front end of the field. 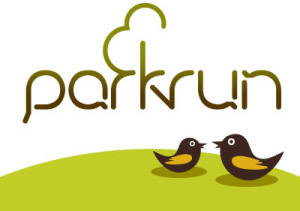 Karen McLaughlin (Springwell Running Club), Olivia Mullin (Greencastle AC), Laura Mitchell (Sperrin Harriers) and Lisa Coyle (1Zero1 Athletes) may also race. Rio Olympian Kerry O’Flaherty (Newcastle AC) and Fionnuala Ross (Armagh AC / Shettleston Harriers) will be in action at the prestigious Simply Health Great Edinburgh XC in Holyrood Park (Scotland) this weekend (Saturday 13th January 2018).